Effective today, Seventh CIRCUIT COURT JUDGE SCOTT DuPONT, was just kicked off the bench by our Florida Supreme Court. From watching in horror at SCOTT DuPONT's so-called "debate" appearance, a/k/a "performance," I smelled a phony. Thank God for our Florida Supreme Court. Attorney Malcolm Anthony should get the Governor's appointment if one is made. Mr. Anthony would have been elected Judge but for DuPONT's reprehensible illegal campaign practices. 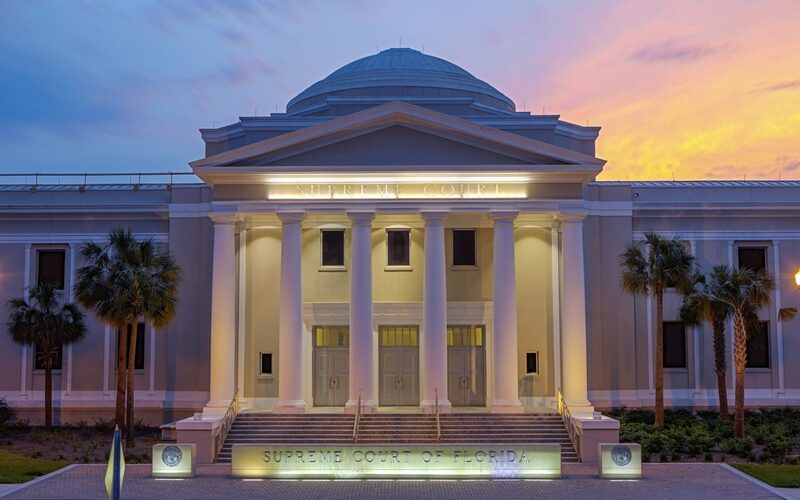 We're proud of Florida judiciary today for, once again, preserving and protecting judicial integrity. The Florida Judicial Qualifications Commission on Feb. 15 had recommended DuPont be removed after finding him guilty of several violations of the code of judicial conduct. A week later Circuit Judge Raul Zambrano ordered DuPont off the bench and told him to turn in his office keys and parking access cards to the Kim C. Hammond Justice Center in Bunnell and the Putnam County Courthouse in Palatka. DuPont had presided over civil cases. The Supreme Court’s ruling said that, unless it subsequently rules otherwise, its decision was effective Monday at 5 p.m. even if DuPont requests a rehearing. The court said a full opinion would follow. DuPont is the first judge removed from the 7th Circuit bench since Circuit Judge Gayle Graziano in 1997. Neither DuPont nor his attorney, Rutledge R. Liles, could be reached for comment. Ludmilla Lelis, court communications officer for the 7th Circuit, declined to comment except to say that DuPont’s seat would be filled by appointment. DuPont was elected to the circuit bench in 2010 and was paid $160,688 a year as a circuit judge. DuPont’s downfall was set in motion by a complaint filed by Malcolm Anthony, who challenged DuPont in the 2016 election. 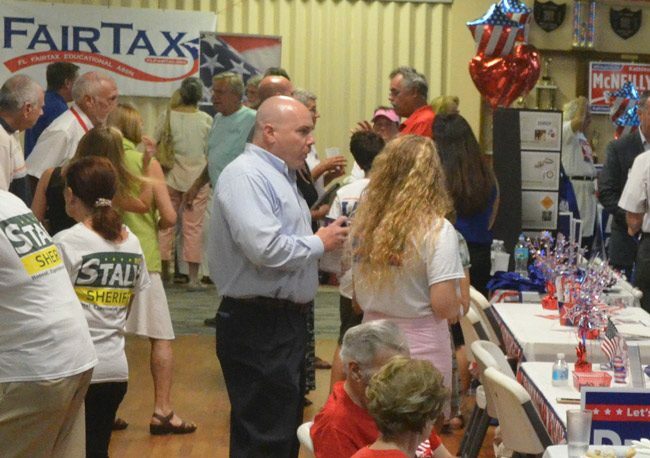 DuPont won 62 percent of the vote to defeat Anthony. Anthony said in a brief interview Monday that he plans to apply for appointment to DuPont’s seat. The JQC said that DuPont showed “a reckless disregard for the truth” when he published false and misleading information about Anthony and Anthony’s family during the 2016 campaign. DuPont did “absolutely nothing” to verify information he received about Anthony, the panel found. That included information for a petition filed by Anthony and his wife, Andrea Lynette, to change their name by dropping the last name of Neundorfer, which was difficult to pronounce in favor of Anthony’s middle name. DuPont incorrectly suggested the name change was for nefarious reasons. DuPont admitted to “carelessness” during the 2016 judicial campaign but said he acted in “good faith” and honestly believed that the information supplied by a researcher hired by his campaign manager was accurate, according to the response submitted earlier this year by DuPont’s attorney. DuPont also improperly said during a candidate’s forum that he would not hold any law unconstitutional, meaning no one before him on such an issue could expect him to be impartial.